Not All Credit Is Bad, Mine Paid Off! 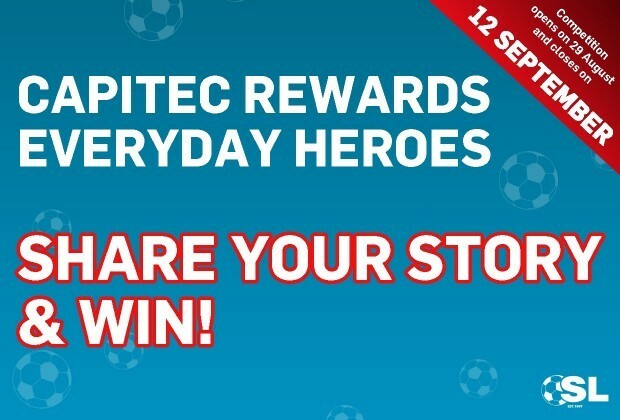 Capitec together with Soccer Laduma found a way to reward and celebrate everyday South Africans, no matter what bank they do their banking with. Every month a winning letter gets published in an edition of Soccer Laduma, however, we have decided to also share the stories of others who have sent in their inspiring letters. Hope Makgabutlane managed to secure a loan with Capitec to get a car as she needed transportation to get to work and back home. Her loan was approved after a call with one of the consultants and the money was transferred into her account within hours. “I had just started my internship in 2016 and had to move in with my gran because there was no transportation from home to work. Six months into my internship and my stipend was increased, with about two months back-pay for the increase. “I had always wanted to buy a car, but could not see myself owning one with the money I was getting paid. So after I got the stipend increase I went onto Capitec’s website to research on a personal loan, I got a consultant to call me, to request a loan to buy myself a car. “The amazing thing is my loan was approved within hours and the money was transferred into my account at the end of my second call with the same consultant! To stand a chance to have your questions answered by a legend or a current player, click here to enter. Or send your letter to mystory@soccerladuma.co.za.